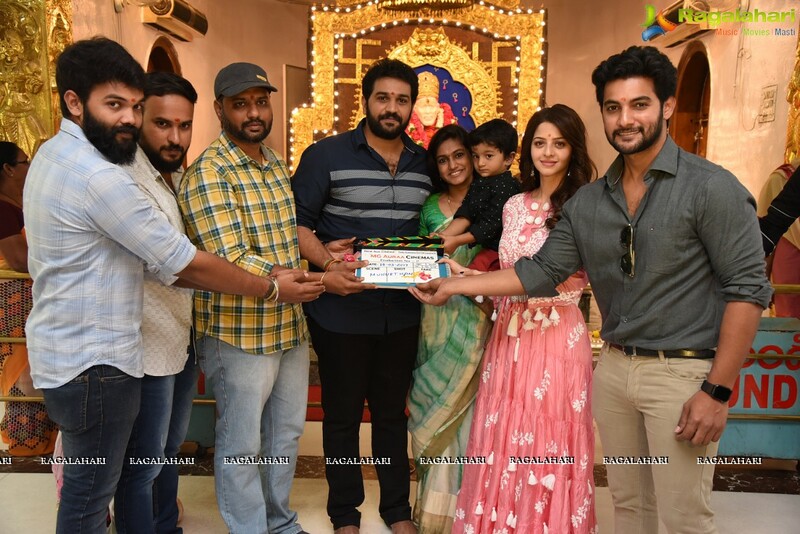 Hero Aadi Saikumar has signed a Telugu-Tamil, bilingual and the film was formally launched today. This new film of Aadi will be directed by Karthik Vignesh. Vedhika will be pairing with Aadi in this untitled movie and this is her fourth Telugu film. She last appeared on Telugu screens in 2011. The regular shooting of the film will kick-start from March 25th in Talakona, Chittoor district. Also with this film, Gautham George is getting introduced as cinematographer. In the past, he worked as associate cameraman for Robo and 2.0 movies. C. Sathya will be composing music and rest of the cast and crew details will be announced soon. MG Auraa Cinemas Pvt Ltd banner’s first film is ‘Arjun Suravaram’ and this is their production number two. New Age Cinema, Thiru Kumaran Entertainments are also association with this new film.